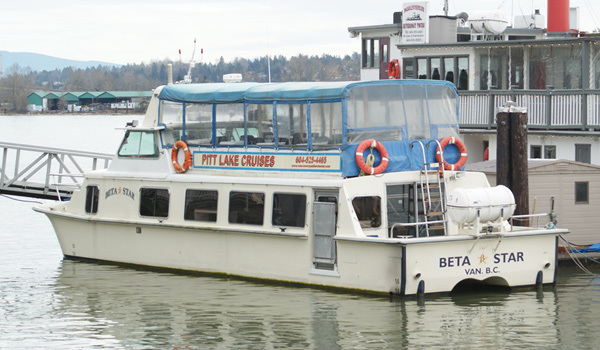 Our 100-passenger Paddlewheeler the M.V. 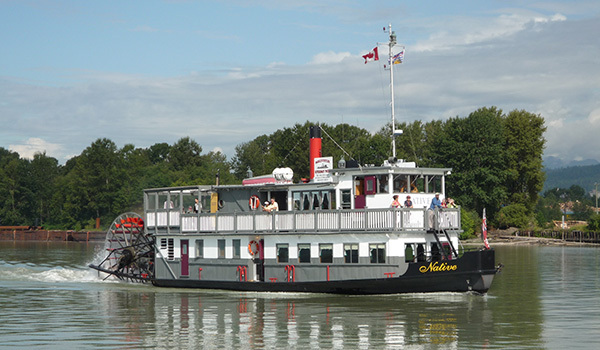 Native is an authentic replica of a paddlewheeler, or sternwheeler that plied the Fraser River in British Columbia from 1863 until 1921. Carrying everyone from pioneers, fur traders, gold rush miners, and family passengers from the communities along the Fraser River, these working boats were vital connections between B.C. communities and peoples along the Fraser River. The M.V. Native was built in 1988, and is very safe boat, fully certified annually by the Canadian Coast Guard, a division of Transport Canada. Both of our vessels are available for private charter.